This week, we enter the delicate world of Sponsorship Marketing. Close to 20 billion sponsorship dollars are spent each year in North America. That money can keep a brand afloat, or it can cause a lot of tension. We'll look at how a single phone call from Coca Cola changed Christmas tradition forever, how Barbie helped save the Girl Scouts and what happens when a sponsor has to weather the demands...of the sponsee. The reason brands pick certain programs or events to sponsor is always strategic – and always interesting. This week, we enter the delicate world of Sponsorship Marketing. Close to 20 billion sponsorship dollars are spent each year in North America. That money can keep a brand afloat, or it can cause a lot of tension. 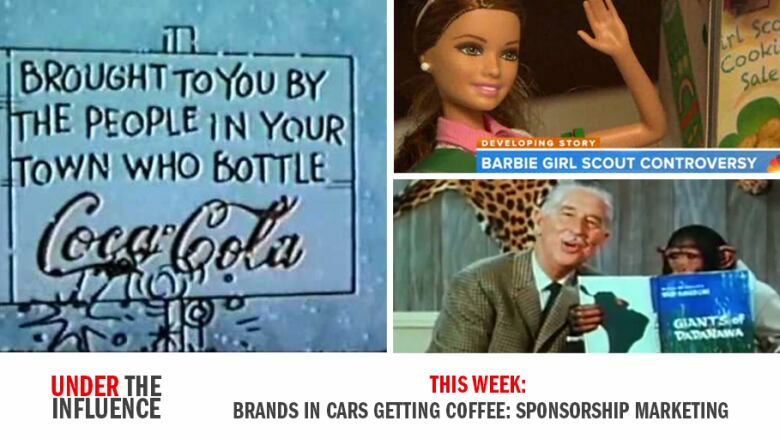 We'll look at how a single phone call from Coca Cola changed Christmas tradition forever, how Barbie helped save the Girl Scouts and what happens when a sponsor has to weather the demands...of the "sponsee". The reason brands pick certain programs or events to sponsor is always strategic – and always interesting. 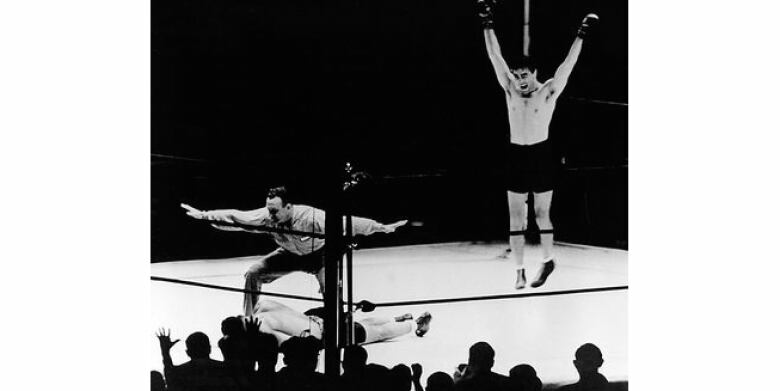 When Max Schmeling knocked out boxing great Joe Louis in the 12th round of their 1936 fight, it was one of the biggest upsets in boxing history. Louis had seemed invincible. He was 22 and just entering his prime. His record was 27 and 0. Max Schmeling was from Germany. He was 30 years old - considered over-the-hill in boxing terms. America couldn't believe their champion had gone down in defeat. Hitler pointed to Schmeling as a glorification of Aryan supremacy. When the rematch was finally arranged two years later, the political climate had changed dramatically. Hitler was beginning his march across Europe, increasing tensions between Germany and the western powers. The Nazis celebrated Schmeling as a harbinger of things to come. However, Schmeling was uncomfortable with the Nazi propaganda. He wasn't a member of the Nazi party, and he refused to fire his Jewish manager even though he was under enormous pressure to do so. The fight was to be a media event broadcast around the world. And the world held its breath. This wasn't just a boxing match. It was Germany against America. Nazism against democracy. It was a metaphor for WWII. It was almost as if the fate of the world hung in the balance. On the night of June 22nd, 1938, 70,000 fans packed Yankee Stadium. 70 million more listened on radio. When the bell was rung for the first round, Joe Louis went right after Schmeling. He rained blows down on the German. Eight - then ten - unanswered punches. Schmeling was doing his best to survive. Then Louis unloaded a devastating combination and Schmeling went down. Eight seconds later Schmeling went down again. When the German managed to pull himself up the second time, Louis circled for the kill. 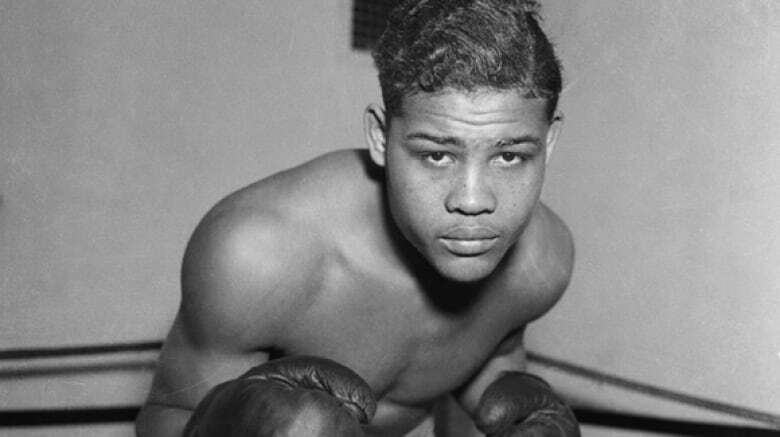 It was a stunning revenge – Joe Louis had beat Schmeling to the ground in only 124 seconds. In the years after their infamous bout, the tables turned again. 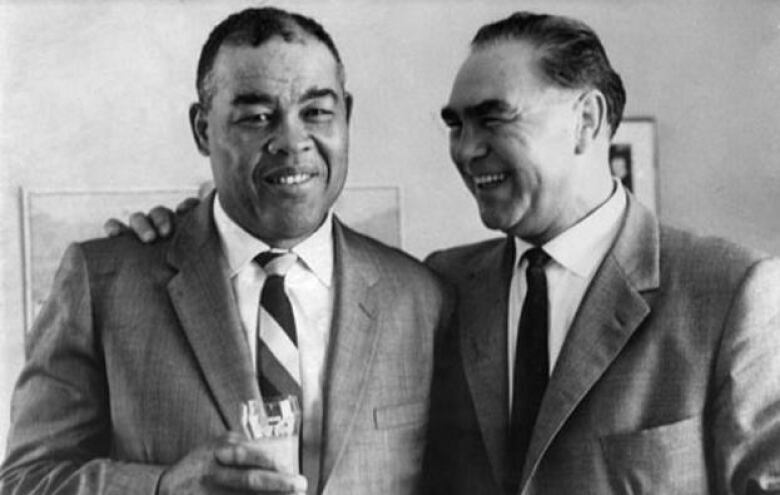 A former New York boxing commissioner, turned Coca Cola executive, offered Max Schmeling the post-war Coke franchise in Germany. It would make Schmeling a very rich man. Through that difficult time, a silent benefactor quietly paid Joe's medical bills. When Louis died in 1981, the same benefactor paid for Joe's funeral. That benefactor had underwritten Joe Louis's final years. He had quietly supported Joe. That person… was Max Schemling. The world of marketing is often a battle, where brands square off against rival companies. And marketing, too, has its version of benefactors. In marketing terms, it's called sponsorship. That's when a company or a brand chooses to underwrite or support a program or event. Unlike Max Schmeling, the support is never quiet, but is instead actively promoted. Many programs or events couldn't survive without sponsorship money. Sometimes the partnership is mutually beneficial. Sometimes the partnership is demanding. And sometimes, those partnerships are saved by the bell. The world of sponsorship marketing is not small. Close to $20 billion sponsorship dollars are spent every year in North America. To 'Merriam-Webster it', a "sponsorship" is defined differently than regular advertising. While a "sponsor" may run ads in a TV show, for example, a "sponsorship" is when a company or a brand underwrites or supports the entire program or event. In return, that company gets to incorporate its branding into the event, it gets to bask in some reflected fame, and the company gets to promote the fact it's involved. The reason brands pick certain programs or events to sponsor is always strategic – and that always makes it interesting. The earliest broadcasts of NHL hockey games in Canada started out on radio. Many think Foster Hewitt began calling the games on CBC, but it was actually on CFCA – a radio station owned by the Toronto Star. And it was in those early radio days that Hewitt would coin his famous phrase: "He shoots, he scores!" The foundation for the sponsorship of those games was established on an Ontario golf course in 1929 when Toronto Maple Leafs owner Conn Smythe shook hands with advertising agency owner, Jack MacLaren. 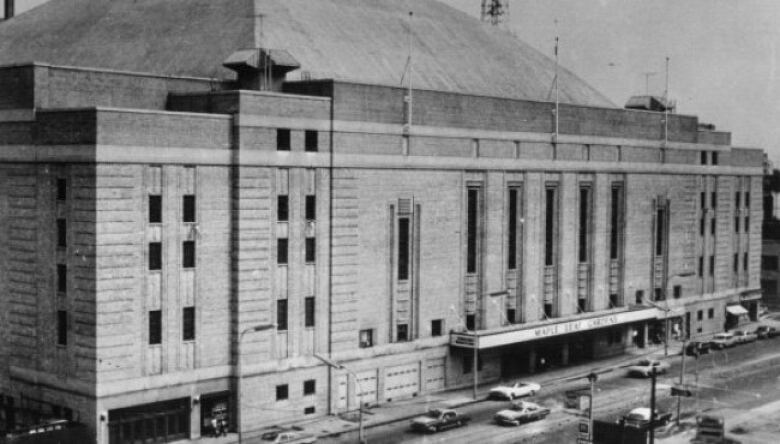 That gave MacLaren Advertising the radio rights to broadcast games from the soon-to-be-built Maple Leaf Gardens. In 1936, the broadcasts moved to CBC radio. That same year, a new president was installed at General Motors Canada – freshly transferred up from the States. He didn't believe hockey would sell cars, and cancelled the sponsorship. So MacLaren put another client in the sponsorship role and renamed the broadcast the Imperial Esso Hockey Broadcast. In September of 1952, CBC was about to launch the first television stations, so it entered into talks with Imperial Oil and MacLaren Advertising about the possibility of sponsoring televised hockey broadcasts. But they ran into a roadblock. That roadblock was named Clarence Campbell. President of the NHL. Campbell maintained that television would convince fans to stay home instead of coming out to the rinks. Conn Smythe disagreed. He suspected television could become the game's greatest salesman. So a compromise was struck. The televised hockey broadcasts would sign on at 9:30pm each Saturday night for the first 1952-'53 season – one hour after the opening faceoff – picking the game up in progress. That first season, Smythe only charged Imperial Oil a $100 sponsorship fee for each televised game. He just wanted to see if his instincts were right. They were – and then some. Soon Hockey Night in Canada was the top rated program in the country. It was the reason many people bought their first television sets. After the success of that first season, Smythe sold the 3-year sponsorship rights for $150K. By the early '60s, a 6-year contract would go for $9 million. MacLaren Advertising would control much of Hockey Night In Canada for over 50 years. The Canadian Sports Network – or CSN – was the ad agency's production arm that produced the Hockey Night in Canada broadcast from 1931 until the 1980s. The ad agency's influence can still be felt to this day. For example, the "Three Stars of the Game" tradition was started by MacLaren as a way to promote Esso's 3-Star Gasoline. And it was MacLaren who contracted jingle composer Dolores Claman to write the Hockey Night in Canada theme song. 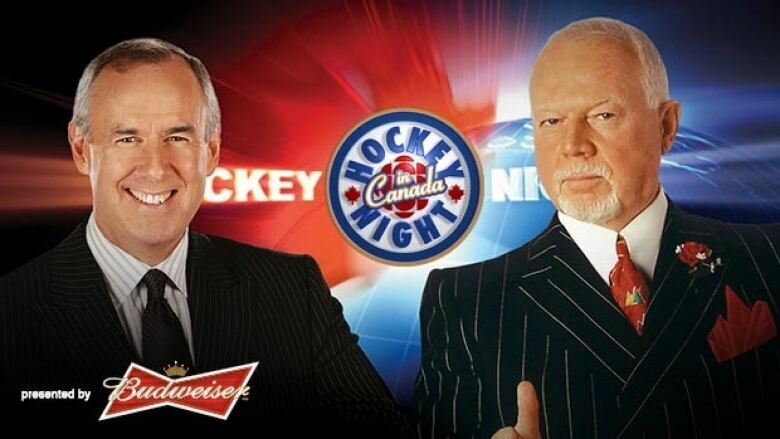 While ESSO ended its partnership with Hockey Night in Canada in 1976, the sponsorship has continued over the years with brands like Molson, Labatt and Scotiabank. Making it one of the highest-profile marketing sponsorships in Canadian history. What you may not know is that A Charlie Brown Christmas was not only sponsored by Coca Cola - but contracted by Coca Cola. Charles Schultz had started the very successful Peanuts cartoon in 1950. Ten years later, Schultz and producer Lee Mendelson decided to try and find a sponsor for a Peanuts TV special. They produced a short pilot, but were turned down by all three networks. 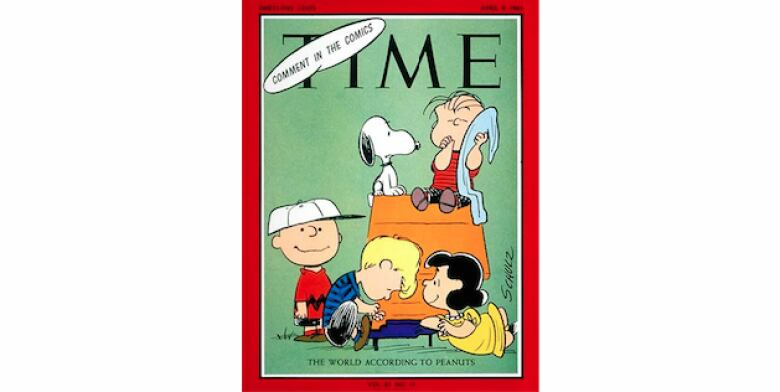 Three years later, Time magazine put the Peanuts characters on its cover. That prompted a call from Coca Cola's advertising agency, McCann-Erickson. They asked if Mendelson and Schultz had ever thought of doing a Christmas special. Mendelson fibbed and said, "Of course we have. We're working on one right now." Coke asked to see an outline the following Monday. So Mendelson phoned Charles Schultz and said, "I think I just sold A Charlie Brown Christmas." Schultz said, "What's a Charlie Brown Christmas?" Mendelson replied "It's something your gonna write tomorrow." So Schultz came up with a one page, triple-spaced outline. The plot revolved around the idea that Christmas was over-commercialized. They presented it to Coke. The soft drink giant bought it. Now Mendelson and Schultz had to race to create an animated Peanuts special. It was an almost impossible task - as they had to produce over 30,000 animation cells in just a few months. Schultz insisted on using a cast of real kids to voice the show – which was highly unusual as kid characters on network TV had always been voiced by adults up until that time. Schultz also refused a laugh track. And he announced that the special would contain a full minute of Linus reading from the Bible. None of which made the network happy. 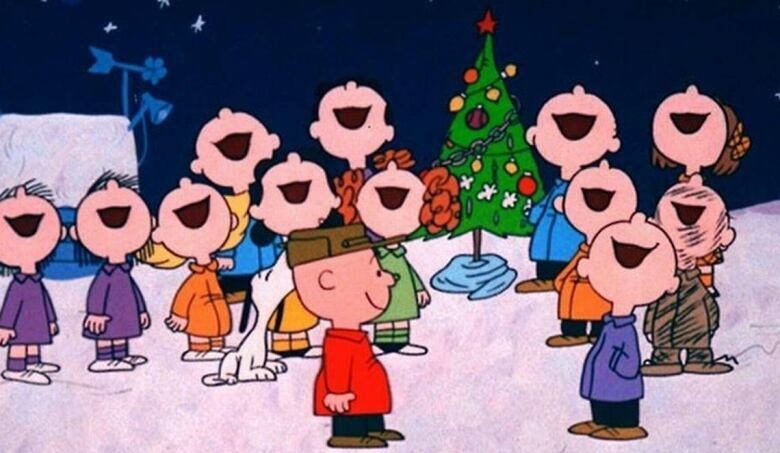 Finally, just 10 days before the broadcast, they screened A Charlie Brown Christmas for CBS. The network hated the way the kids talked like adults. The network hated the loose animation. They hated the slow pace. The Bible section made them all squirm. They hated the jazz soundtrack. The rushed animation contained mistakes. The network hated the mistakes. Then a Time magazine TV critic asked to see an advance screening of the special. Mendelson reluctantly agreed. They sat in a room together and the critic didn't say one word during the entire screening. Didn't even take a note. Then he just got up and left when the credits roll. Schultz asked how it went. Mendelson said, "We're dead." Two days later, a full-page review came out in Time magazine. The reviewer called A Charlie Brown Christmas the greatest cartoon ever made, saying it would probably run for 100 years. CBS didn't agree with the review, and it couldn't back out now anyway – the air date was less than a week away and they were contractually committed. Coke, on the other hand, loved the special. They love it because Coke branding was part of the storyline. The opening scene had Linus smashing into sign in the snow. Another scene has the gang throwing rocks at a Coke can on a ledge. At the end of the special, while the Peanuts gang are singing Hark! The Herald Angels Sing, words appear over the characters that say: "Merry Christmas from the people who bottle Coca Cola." Nearly half of all people watching television that night tuned in - totalling over 36 million viewers. It was a huge success. The public loved everything the network hated. It was a huge win for Coca Cola, too. It received bags of mail from fans of the special thanking the soft drink company for sponsoring the show. Coke had tapped into the emotion of the special with its sponsorship. And those glad tidings spilled over onto the brand. Depending on your age, you may remember this Charlie Brown Christmas special differently than I just described it. When Coke's sponsorship ended in 1967, the special was heavily edited – with all the Coke references taken out. But that posed a problem, because the original Coke references were embedded in the original storyline – that's why the version you may recall contains some questionable edits, including an abrupt ending. 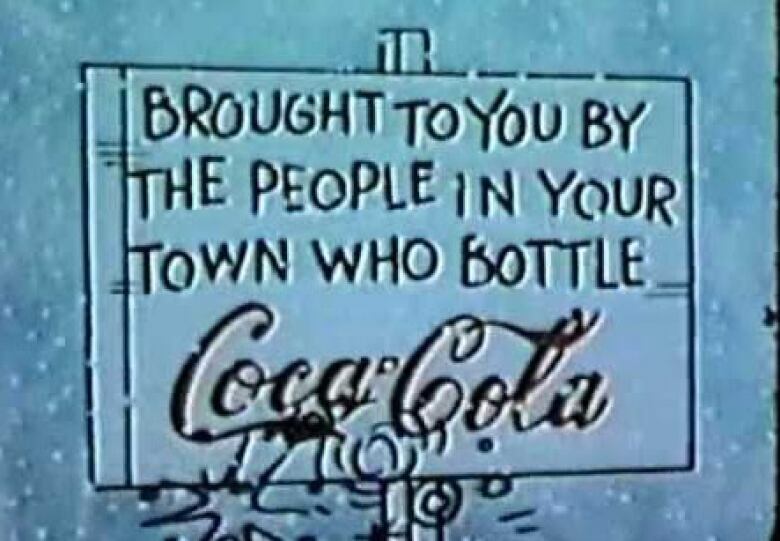 That's because the final Coke frame saying "Merry Christmas from the people who bottle Coca Cola" was taken out. A Charlie Brown Christmas has been running for 51 years now. And it just might reach 100. It's a beloved holiday special about the over-commercialization of Christmas. And it all began – ironically - with a phone call from Coca Cola. 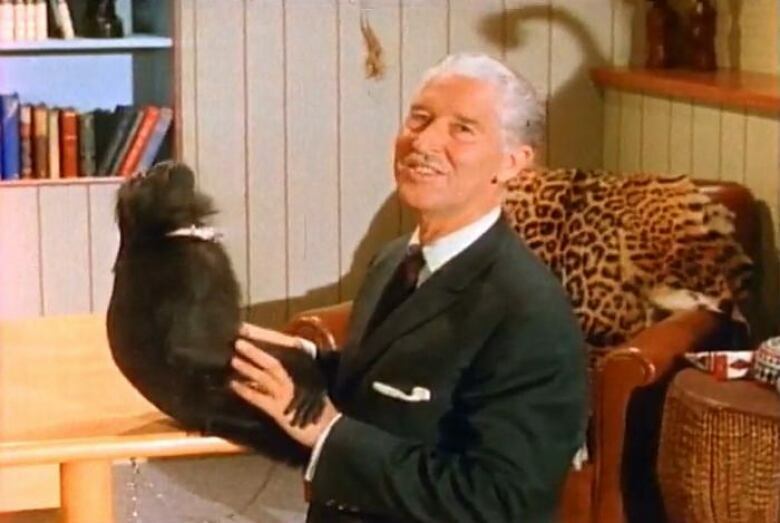 Mutual of Omaha's Wild Kingdom ran from 1963 to 1988 and still runs online to this day. 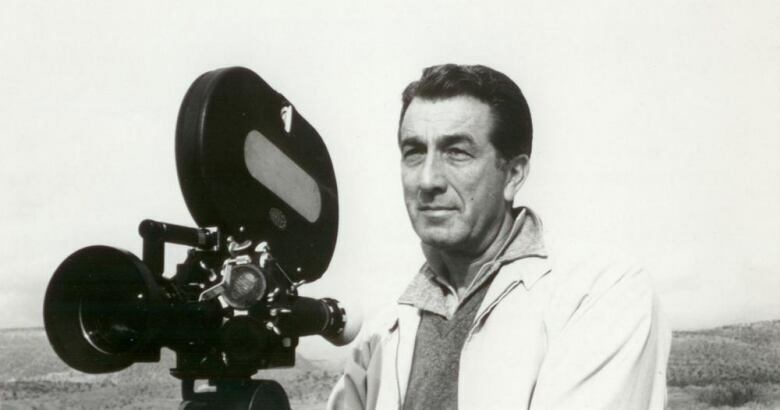 In the early 60s, producer Don Meier created a pilot of Wild Kingdom by investing all his life savings and taking out a second mortgage on his house. He spent the next few years looking for a sponsor, showing the pilot to 84 different advertisers. 84 times he was turned down. As fate would have it, his friend Marlin Perkins, the director of the St. Louis Zoo, was having a meeting with his friend V.J. Skutt, who was the president of a small and little known insurance company called Mutual of Omaha. Skutt told Perkins he was looking for a television show to sponsor so his small firm could try and build a national profile. Perkins immediately called Meier, who flew to Omaha the next day. Skutt and his team liked what they saw, and not long after, Mutual of Omaha's Wild Kingdom premiered on NBC in January of 1963. It began as a half-hour show on Sundays and it was an immediate success. As a matter of fact, the show's instant popularity surprised everyone. Each week, Perkins and co-host Jim Fowler would take viewers on exciting journeys to explore the lives of different and fascinating animals. A running joke was that Perkins made Fowler do all the dirty work, as in: "We'll watch Jim as he tries to shave the wild wolverine while I sip a banana daiquiri in the jeep." Mutual of Omaha's advertising agency, Bozell-Jacobs, would create commercials for the insurance company, and Perkins would segue into the ads with lines like, "Just as the female ocelot must care for her cubs, you can protect your family with insurance from Mutual of Omaha." At its peak, Mutual of Omaha's Wild Kingdom had 34 million viewers every Sunday, and was shown on 200 stations in 40 countries. 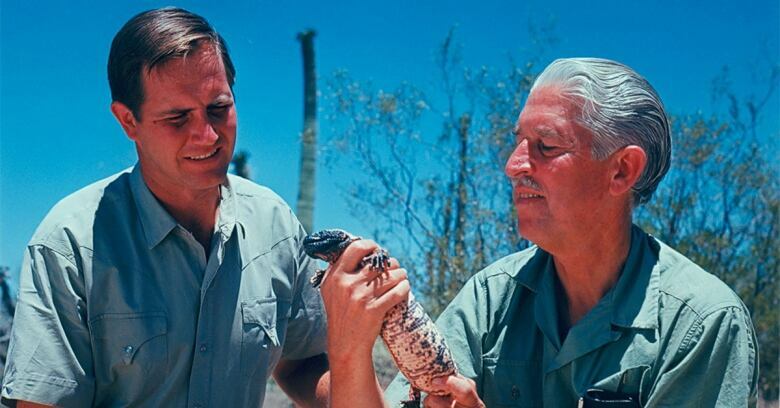 The show won 4 Emmys, becoming one of the longest-running nature shows in television history. But more than anything, it made that small Omaha-based insurance company a household name. Nobody thinks of the show as Wild Kingdom, they call it Mutual of Omaha's Wild Kingdom. It was one of the few television show of my youth – especially in the 70s - that carried the sponsor's name in the title so boldly. During the 22 years Marlin Perkins hosted the show, Mutual of Omaha's income grew into the billions. When president V.J. Skutt died in 1993, his New York Times obit said he had built Mutual of Omaha into the largest provider of individual health insurance in the U.S.
And a huge part of that success was due to the Wild Kingdom sponsorship. It insured fame. Recently, the Girl Scouts of America made an interesting announcement. It was adding a new badge to its list. It was the "Be Anything, Do Everything" badge that girl scouts could now earn. That badge was sponsored by Barbie. In Barbie's nearly 60 years of existence, she's had over 150 careers, from registered nurse to astronaut to rock star to princess. And now Barbie is a girl scout. There was a lot of pushback when Barbie teamed up with the Scouts. Beyond the fact some feel Barbie hasn't been a good role model for girls over the years, it was the first-ever corporate sponsorship of a Girl Scout badge. 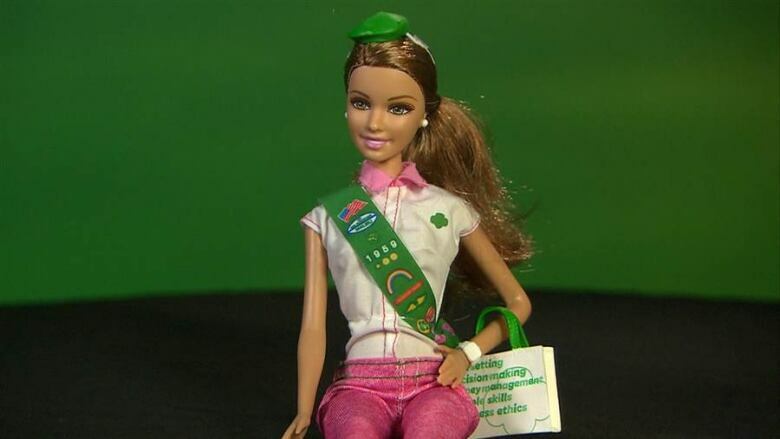 The Girl Scouts organization strongly defended the partnership, insisting that Barbie had a wholesome image. 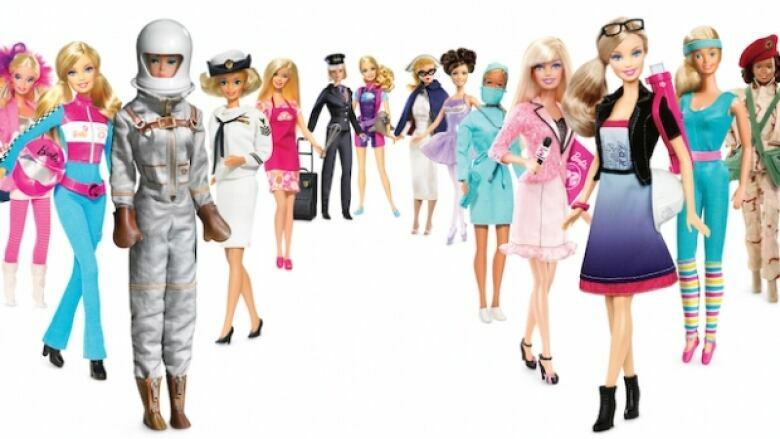 Mattel, maker of Barbie, stood by the 3-year deal saying Barbie's mission was a good fit with the Scouts – because it had always inspired girls to be anything they want. It was also a lifeline for the Scouts. In 2013, the Girl Scouts organization reported it was battling serious financial troubles – stating it was millions of dollars in debt. It had declining membership, donations had dipped, its famous cookies weren't selling well and they were contemplating selling their summer camps. The Mattel deal is worth a much-needed $2 million. Therein lies the rub when it comes to some sponsorships. It can underwrite the health of a brand and still be an uneasy transaction. Then there's Jerry Seinfeld. When he created his online series called Comedians in Cars Getting Coffee, Seinfeld wanted sponsorship money to produce it. So he inked a deal with Acura. The fit was right. 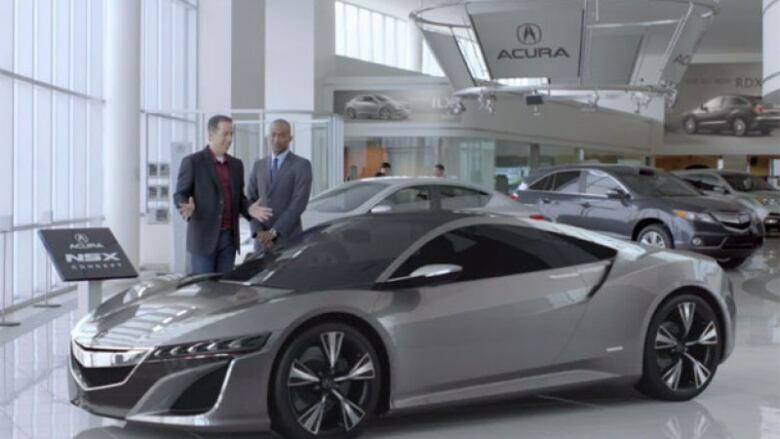 Cars were a big aspect of the show, and Acura was thrilled to be in such close proximity to Jerry Seinfeld's fame. In a recent episode, Seinfeld was with guest Sarah Jessica Parker outside a coffee shop when he is stopped by a police officer, who points at an Acura parked on the street. "Excuse me," he asks, "is this your product placement?" Seinfeld wants the sponsorship money, but he doesn't want to be beholden to it. As AdWeek magazine noted, this act of rebellion is his way of remaining independent while inside the agreement. It's an interesting flip on the usual arrangement. While many programs have to weather the sponsorship demands of brands, sometimes brands have to weather the demands… of the program. When a brand decides to sponsor a program or event or a Girl Scout badge, it's always a strategic decision. For starters, sponsorships are not filtered the same way commercials are. They are much more positively received, as a rule. That's a big gain for the advertiser. 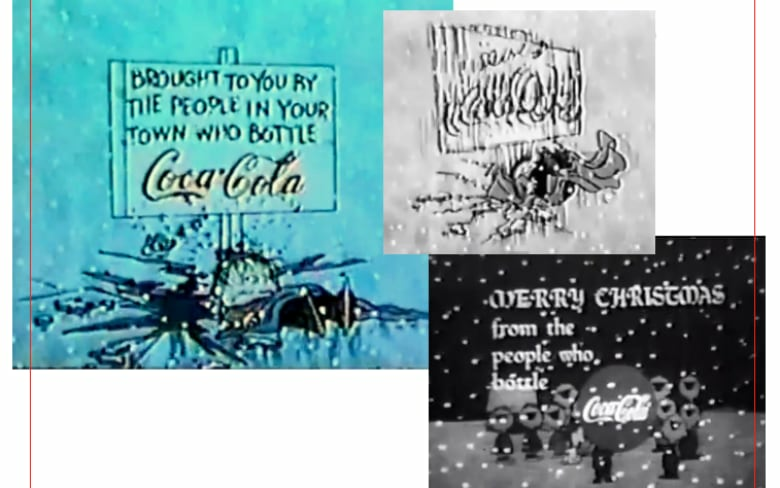 So when Coke sponsored A Charlie Brown Christmas, it not only received glowing letters from viewers, but that warm feeling increased purchases. Research shows that a sponsorship of a fan's favourite show can increase purchase intent of the product by as much as 10%. Sponsorship gives an advertiser preferential positioning above other advertisers. While there may have been other commercials inside a typical episode of Mutual of Omaha's Wild Kingdom, the awareness of sponsors tilted heavily towards the insurance company. Sponsorships also bestow fame on the advertiser. Imperial Oil and Molson gained great fame by being associated with hockey. Mutual of Omaha went from an obscure insurance company in Nebraska to a household word. On the flip side, sponsorships are demanding. When a company is putting millions of dollars into a sponsorship, they want their pound of flesh. That can mean a Three-Star gasoline promo in a hockey game, or a surprising new Girl Scout badge or an ocelot segue into an insurance commercial. It's a delicate arrangement. Sponsorship money can keep a program afloat, or it can cause a lot of tension. Or it can do both….